Once we arrived at Taps & Tastes, we unloaded our newest piece of equipment: Seabiscuit the Jockey Box. She worked beautifully with only a few minor hiccups. The real problem: we had no shives for the cask! Three hard spiles were left at our brewery neatly folded in a paper towel. I had brought extra keystone bungs in case we split the wood while hammering in the tap, but forgot the crucial piece of wood that would vent the cask. The event was set to start in a few minutes, and we had to improvise. So we did what any rational person would do, we hammered in a flat head screwdriver. Just to make things a bit more difficult, our beer engine would not clamp to the thick wooden table we were stationed at. This required a technique that was similar to curling free weights. It was a good look for KC’s smallest nano-brewery. Our team was incredibly fun and efficient. If there was a Terminator built to pour beer, it would be Taylor, pouring three beers at once while laughing and talking with the crowd. Jay was there with lederhosen and a cool hat, explaining our recipes and high-fiving the occasional fan. Flenker, who seemed to know everybody, was expertly pouring and explaining our process. And then there was me, learning again that there really isn’t a good day to wear flip-flops, especially when you are downstream from 20 bbls of beer being poured. 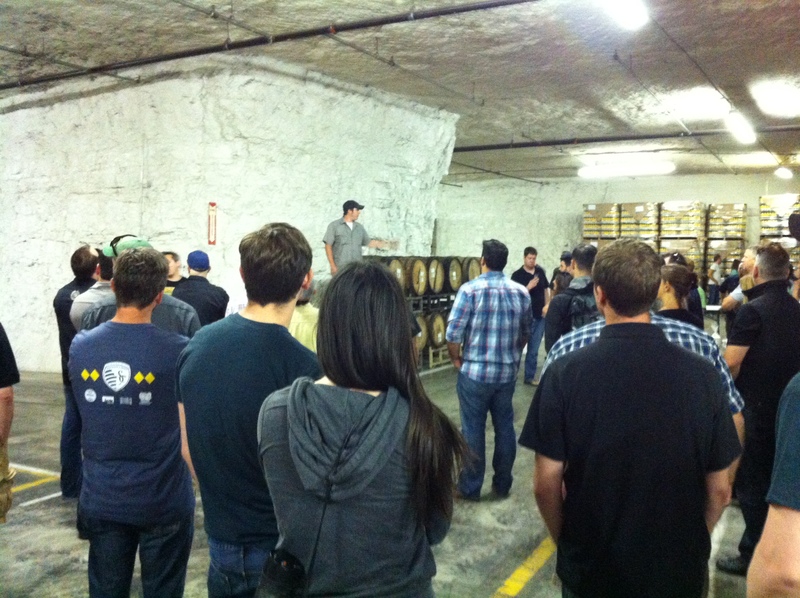 The day before all this commotion, we were invited into the Boulevard caves to sample some beer straight from the barrel. 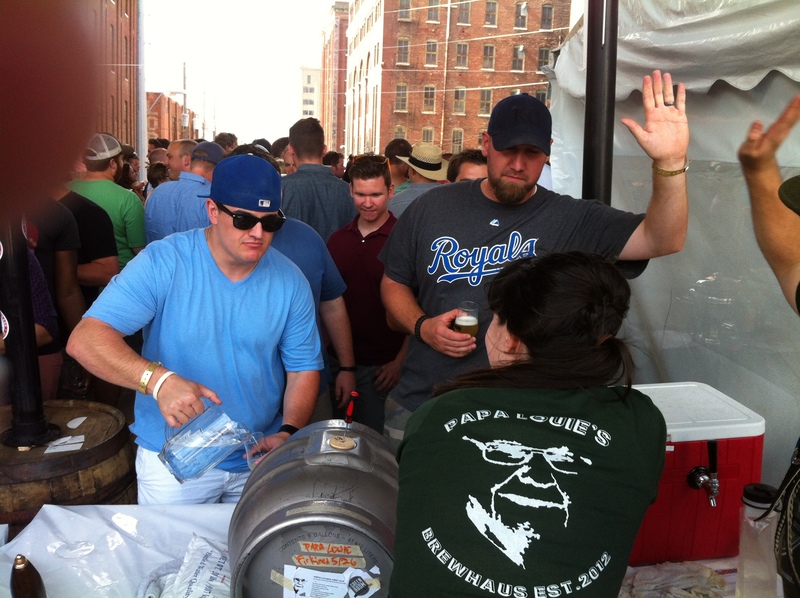 This was probably the only time in recent KC memory that Jeremy Danner wasn’t the most famous person in the room. Hey, who is that guy in picture below? The guy who invented the American Pale Ale style, oh no big deal. Don’t mind the guy in the Bluth frozen banana shirt taking your picture. I met some incredible local guys as well. Nick from Martin City Brewing not only brews the best Abbey in town, but sported the best brew beard of anybody at Boulevardia. Those Germans from KCBC were on point and full of beer knowledge. 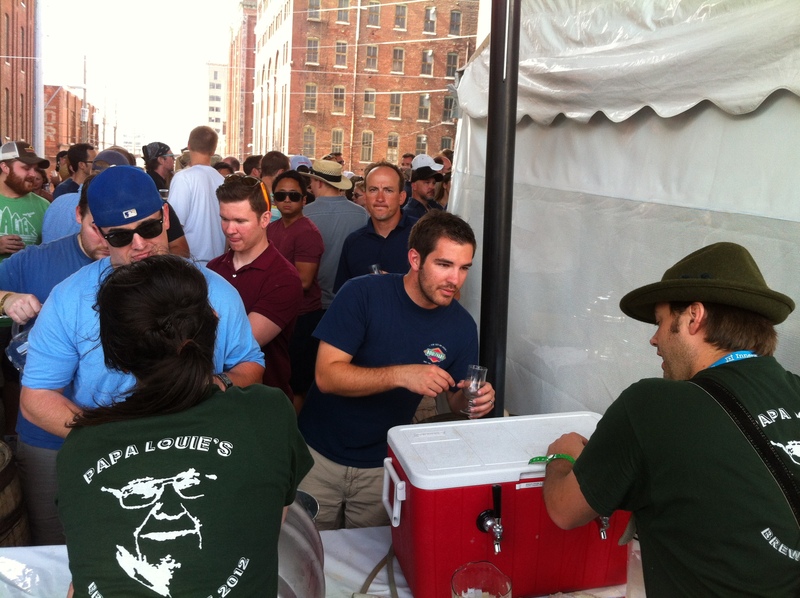 Seeing the Cinderblock brew team is always interesting, fun guys who brew some serious beer. My favorite local brewery, Big Rip, was on hand talking shop and dropping some great brewing techniques. I had a chance to meet the brewmaster from Amerisports Brew Pub, who happens to brew the best Pilsner in town. Rock & Run has some of the nicest guys in the industry, and their 5K IPA is off the charts delicious. It was a humbling experience to be in the presence of such incredible people. Boulevard went above and beyond treating us to this incredible experience. We were able to try beer straight from the cask and into our glass. 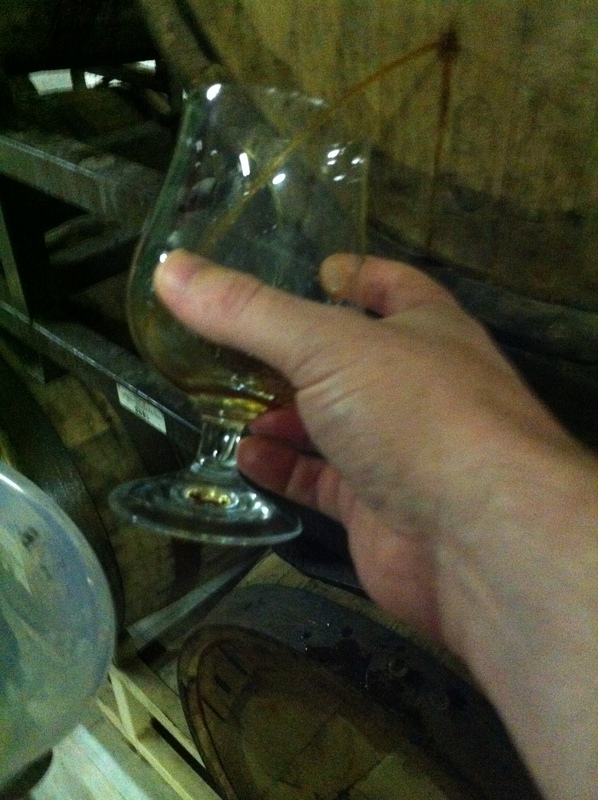 They even had tasting notes so we could try the barrel with “chocolate, acetone” or “acetic, peaches”. My favorite? The Imperial Stout with the most intense smokey barrel flavor I have ever imbibed. I got yelled at for snapping the above pic, apparently I spilled a drop on the floor. 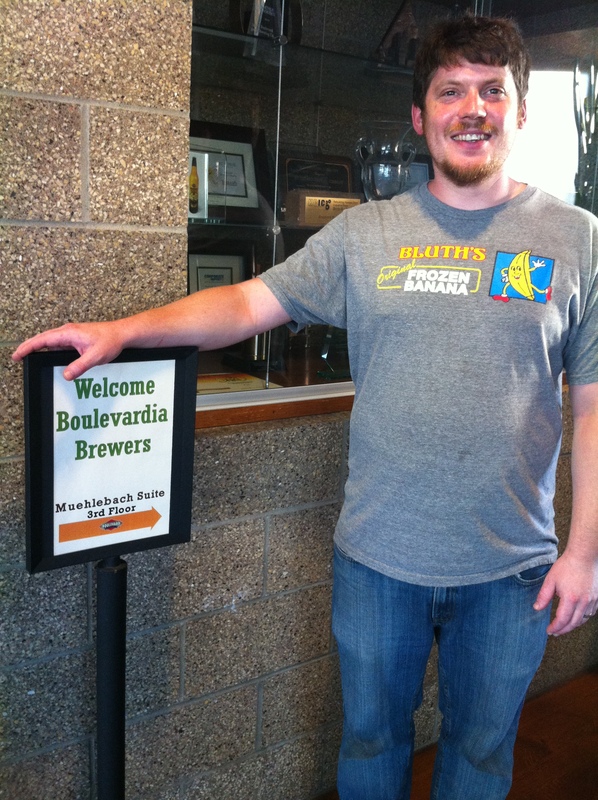 After the caves we were treated to a Brewer’s Reception in the Muelebach suite at the Boulevard Brewery. 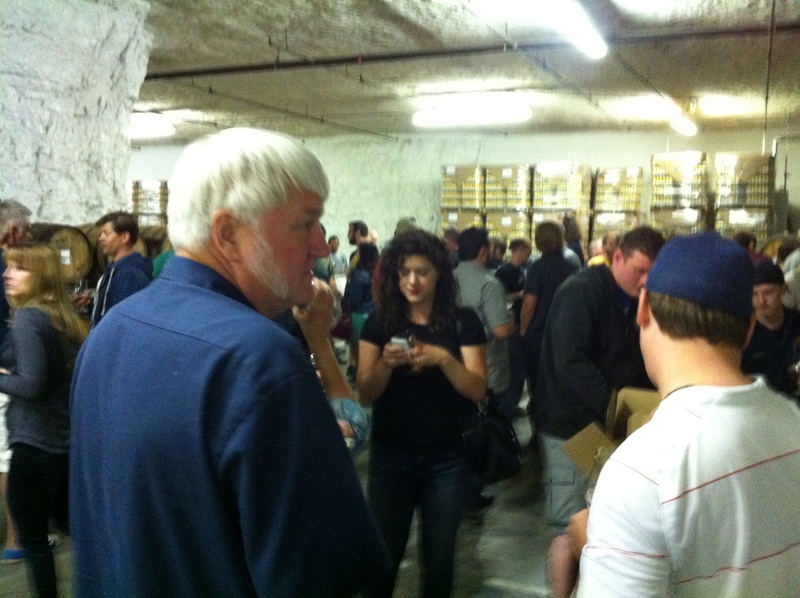 It was a chance to meet some incredible people, and try some amazing beer. Russian River’s Pliny the Elder was a hop bomb that hit everything on the palate perfectly. One brew to watch out for in the coming months: Boulevard’s Celebration Sour. Well rounded sour notes, with a malty finish that was very unique. 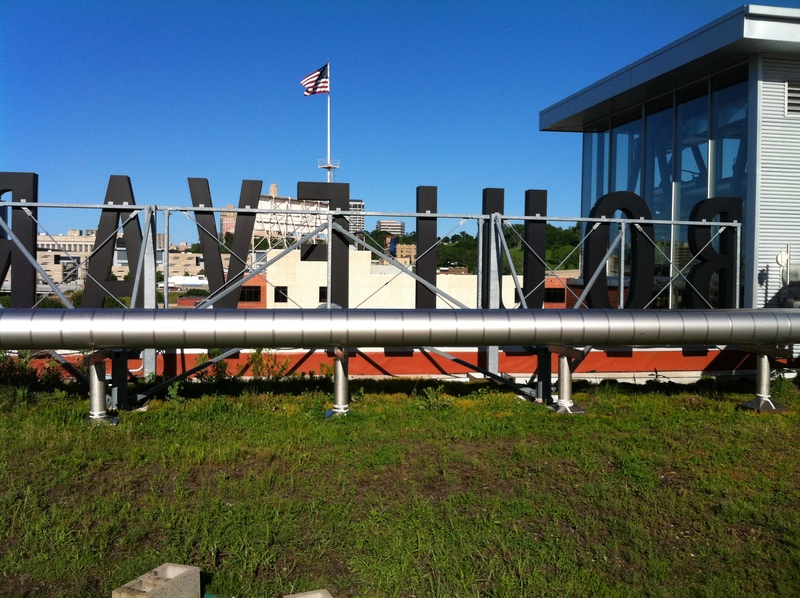 We are very lucky to have such a big, generous brewery in KC. Be sure to swing by the tasting room and try their new Oatmeal Stout and Spiced Saison, new entries in the Tasting Room series. You owe it to yourself.